Victoria McGillin, Vice President for Academic Affairs and Dean of Faculty, reading Beowulf: A New Verse Translation, by Seamus Heaney. 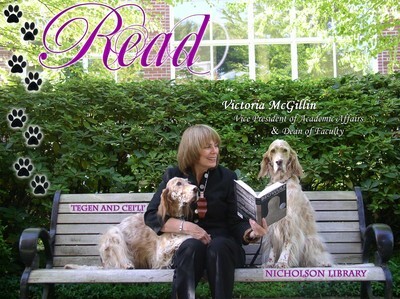 Terry, Paula and Nicholson Library Staff, "Victoria McGillin READ Poster" (2008). READ Poster Gallery. Image. Submission 43.